Dr John Sale is a consultant on biodiversity conservation in Africa and Asia, both as an academic and a UN Chief Technical Adviser to national governments on post-graduate training and research on wildlife. He is the author of numerous papers on mammal biology and technical aspects of the conservation of tropical species and their habitats, ranging from elephants and rhinos to orang-utans. One of the founders of JRI and presently its International Secretary. Revd Dr John Weaver was born and brought up in Cardiff. After taking degrees in Geology at Swansea, he taught at the University of Derby. John trained for Baptist ministry in Oxford. Click here for more information. Dr Andrew Wright (Chair) after a career as a Medical Sciences lecturer at the University of Hong Kong and then at Edinburgh Napier University, Andrew spends his retirement gardening, tending an allotment, and keeping hens. He has an interest in ‘Science and Faith’ issues. 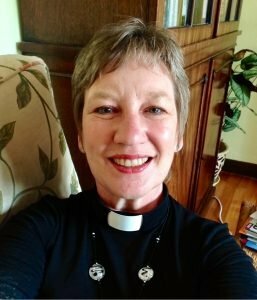 Revd Margot Hodson (Theology and Education Director) is Rector of Wychert Vale Benefice in Buckinghamshire and was previously Chaplain of Jesus College, Oxford. She is the JRI representative on the board of A Rocha UK. Margot has published several books including Cherishing the Earth (with Martin Hodson, 2008), The Ethics of Climatic Scepticism (with Martin Hodson, 2015), A Christian Guide to Environmental Issues (with Martin Hodson, 2015) and An Introduction to Environmental Ethics (with Martin Hodson, 2017). Shan Dobinson (Executive Secretary) runs Trinity Training which provides training and coaching in management, sales, communication, safeguarding children and vulnerable adults. She is on the leadership team of her church, and is in the process of becoming an assessor for Ecocongregation. She also chairs the Board of Luther King House Educational Trust in Manchester. Paul Houghton (Company Secretary) was a Further Education lecturer, teaching Physics and Mathematics. He was the Treasurer of JRI from 2000 until 2011. The Rev’d Dr Liz Ratcliffe is Rector of St Michael’s Church Tilehurst. She has a background in research biology and the Civil Service, where she worked in various policy areas including Environmental Protection. She has been a trustee of JRI since early 2018. Dr Martin Hodson (Operations Director) He is a plant scientist and environmental biologist, and a former Principal Lecturer, and now Visiting Researcher at Oxford Brookes University. Click here for more information. Claire Ashton has a background in Civil Engineering and Environmental Technology. She currently works part-time for a major European gas and oil advisory company, having previously worked in the UK water industry carrying out research on clean water pipelines. Richard Chartres was the Bishop of London (1995-2017) and formerly Bishop of Stepney (1992-1995), a London vicar (1984-1992), and Chaplain to Robert Runcie while Bishop of St Albans and then at Canterbury. His publications include Religion, Science and the Environment. Lord John Gummer, Baron Deben, was formerly Secretary of State for Environment (1993-97), and MP for Suffolk Coastal. He was Minister for Agriculture, Fisheries and Food (1989-93), Minister for London, Employment Minister and Paymaster General. He was first elected an MP in 1970. He is active in the promotion of the European cause, and well known for his detailed presentation of European business issues. While at MAFF he chaired the European Council of Agriculture Ministers during the negotiations for GATT, and represented EU Ministers in Chicago during the final stages of the trade negotiations. He has earned worldwide respect both in the business community and among environmentalists – Friends of the Earth called him “the best Environment Secretary we have ever had”. Since leaving office he has been appointed Chairman of the International Commission on Sustainable Consumption and Chairman of the Marine Stewardship Council. He is Chairman of THE SANCROFT GROUP, which is active in environmental, ethical and health and safety consultancy. John Gummer was a keynote speaker at Forum 2002, an Anglo-American climate change conference. Professor Sir Ghillean Prance FRS Ghillean Prance is Visiting Professor at Reading University, and Scientific Director of the Eden Project, Cornwall. He was formerly Director of Kew Botanic Gardens. Prance spent many years in Amazonian Brazil doing botanical exploration and taxonomy, and has lived with 16 indian tribes. He has written over 300 papers on plant systematics, plant ecology, ethnobotany and conservation – and 13 books including A Passion for Plants: From the Rainforest of Brazil to Kew Gardens (Lion, 1995) and The Earth Under Threat – A Christian Perspective (Wild Goose, 1996). Sir Meuric Rees CBE Meuric Rees is a farmer, Christian, and was formerly Lord Lieutenant of Gwynedd. Emeritus Professor Calvin DeWitt Cal DeWitt was formerly Director of Au Sable Institute for Environmental Studies, Wisconsin, USA – preparing hundreds of undergraduate and graduate students for environmental careers integrated with biblical worldviews. His publications include “Creation’s environmental challenge to evangelical Christianity” in The Care of Creation (IVP, 2000). Also see further information and an interview in Grist magazine. Mrs Lynda McKeown (CRES Administrator) was a primary schoolteacher and music teacher. She is a mother of two teenage children. Mrs Karen Vincent (Administration and Technical Support) is a Tertiary Franciscan. She has been employed as a Parish Worker, and in library and information services for a local authority. She has two adult sons.